Luxembourg, 17 February 2016.meanswhat announced the opening of a branch office in Johannesburg/South Africa. This symbolizes a further expansion of the company“s network to cover Africa. meanswhat SA (Pty) Ltd will take care of all business activities in South Africa as well as Sub-Saharan Africa. The new established company will grant a better service to support customers. It will work in close co-operation with our already established partners. Because of our existing involvement in Africa, it has the full all the support from meanswhat Europe. Now, with the branch office put in operation, clients in Africa have a dedicated point of contact in Africa. „We are extremely pleased that we could win Mr. Wilhelmus van Kuijeren as Chief Executive Officer of meanswhat SA (Pty) Ltd. He is well established and honored in the market for over 20 years. “ added Axel Daiber, Managing Director of meanswhat SARL-Luxembourg. About the future strategy of the new subsidiary, Wilhelmus van Kuijeren concludes: „Africa is the fastest growing continent. It offers a huge growth potential, especially in communication and IT. Our ability to combine IT and satellite communication is critical, to offer a one stop solution provider in Africa, offering pay as you model. Therefore, it is a very important market for meanswhat“. meanswhat is a manufacturer and solution provider of business communication products. The company is based in Betzdorf/Luxembourg and Salem/Germany. It was founded in 2013 from Raimund Kettner and Axel Daiber. Der Reiseveranstalter Africa Safari Experts kennt Land und Leute aus erster Hand! Massai lieben ihre Viehherden und verabscheuen Fisch! Wer sich also auf seiner Reise durch Tansania mit den stolzen Kriegern gut stellen möchte, sollte auf Fisch als Mitbringsel verzichten und sich gut mit den Rindviechern stellen. Diese und viele weitere wertvolle Tipps haben Annette und Adili Sirikwa für ihre Reisegruppen parat, die mit ihnen das östliche Afrika entdecken wollen. Denn die Inhaber der Africa Safari Experts Reisen kennen Land und Leute bis ins Detail und wissen, wo die schönsten Landstriche, die aufregendsten Tier-Sammelplätze, die malerischsten Badeplätze, die kulinarischen Highlights sowie die besten Übernachtungsmöglichkeiten im Lande zu finden sind. Adili ist gebürtiger Tansanier und Halb-Massai. Zusammen mit seiner Frau Annette organisiert er seit rund acht Jahren Touren für Reiseveranstalter und Gäste aus aller Welt in das Land am Indischen Ozean. Ob eine dreitägige Safari in den Serengeti Nationalpark oder eine dreiwöchige Safari- und Kulturreise mit Abschluss in Sansibar – die mehrfach ausgezeichneten Afrika-Reiseanbieter legen größten Wert auf Sicherheit und Renommee und garantieren eine sehr professionelle und persönliche Vor-Ort-Betreuung. Individuelle Wünsche und maßgeschneiderte Touren werden innerhalb von 24 Stunden erarbeitet. 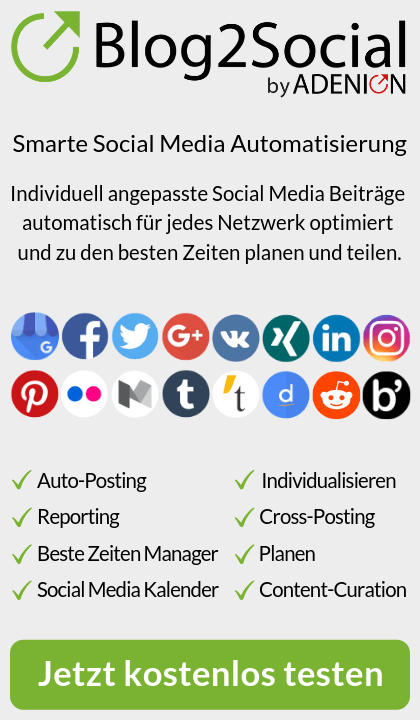 Das hohe Maß an Flexibilität und Länderkunde zeichnet den Spezialanbieter für Tansania aus. Annette Sirikwa, eine deutsche Diplom-Geografin, die auf einer Exkursion ihr Herz in Afrika verloren hat, leitet Africa Safari Experts von Bayern aus. Alle Anfragen laufen hier zusammen und werden dann in Arusha, dem Unternehmenssitz in Tansania, umgesetzt und koordiniert. Diese deutsch-afrikanische Doppelkompetenz macht die kleine, aber feine Spezialagentur zu einem hochinteressanten Partner für etablierte Reisebüros und Veranstaltern in aller Welt, die für ihre Gäste das Besondere zu fairen Preisen suchen. Aktuelle Tansania Angebote bietet Africa Safari Experts zu den Themen Safari, Strandurlaub, Kulturreisen, Flitterwochen, Hotels & Lodges und Bergwandern (Kilimandscharo). Africa Safari Experts ist ein Reisespezialist für Reisen nach Tansania und ist Partner für etablierte Reisebüros und Veranstaltern in aller Welt. Aktuelle Tansania Angebote bietet Africa Safari Experts zu den Themen Safari, Strandurlaub, Kulturreisen, Flitterwochen, Hotels & Lodges und Bergwandern (Kilimandscharo). Ghana is one of the „top export markets 2014“ says the German Ministry for Economic Affairs. Reasons for this are above-average growth and a stable business environment. A professional market entry to Ghana and West Africa is paved by agrofood West Africa. The 2nd International Trade Show on Agriculture, Food and Beverage Technology and Food Trade is scheduled for 2 to 4 December 2014 at the Accra International Conference Centre in Ghana. The German Ministry for Economic Affairs and Germany Trade & Invest have identified six countries that earn increased attention of the German export economy. State Secretary Stefan Kapferer: „Ghana is characterized by an above-average growth, a positive development in the core sectors of the German middle class and a stable business environment.“ Great opportunities also open up for mechanical engineering. The trade fair specialist fairtrade Messe recognized this potential and organise the 2nd edition of agrofood West Africa in December 2014. With 1,326 professional visitors from 37 countries, with a share of 75 per cent of decision makers, discussing business with 81 exhibitors from 21 countries, already the first edition of this new hub for West Africa has been a great success. 86% of the exhibitors in 2013 would recommend agrofood West Africa. Leading exhibitors such as Döhler, Gea Westfalia, Wild and Windmöller & Hölscher have already re-booked their stands for 2014. The Ghanaian Ministries of Food and Agriculture and of Trade and Industry support the event and an agrofood West Africa industry portal is erected to facilitate relations between buyers and sellers all year round. 1,470 professionals from the target region are already logged in. Additionally the portal provides a cost-free matchmaking service. To create valuable synergies for exhibitors and visitors alike, agrofood West Africa is held in conjunction with plastprintpack West Africa, the 2nd International Trade Show on Plastics, Composites, Chemistry and Printing & Packaging Solutions and Material. Austria will again be present with an Austrian pavilion supported by Advantage Austria and Spain will participate for the first time. The White Lion and the Blue Gold Goes International! The children“s book about clean drinking water, the SODIS METHOD, team spirit and cooperation, is now available in an eBook edition for the youngest child. Studen BE, Switzerland, December 13th, 2013 – Biderbuch-Theaterwerkstatt today announced the release of the English eBook version „The White Lion and the Blue Gold“: The children“s book, written and illustrated by Monika Lanz, explain with the story the SODIS METHOD. Water can be disinfected and in this way made drinkable using the rays of the sun. „Solar water disinfection“ – SODIS for short – thus offers a solution for preventing diarrhea, one of the most common causes of death among people in developing countries. The German print version, appeared in 2010, is also available in an EBook version now.